Lipstick. Bright, red lipstick. Nothing but lipstick. Even though it's against our faith to wear a color that screams of sexual promiscuity and deviant behavior, I'm not allowed to protest. You see, there's more to me than the braid that spills down my back. More to me than the layers of heavy fabric that maintain my modesty. And so much more than the oppressive wedding band that adorns my finger - the same band that each of my sister wives wear. To protest would be sinful. I must keep sweet, that is my duty. So I'll wear the lipstick. I'll do as I'm told. And I'll do my best to silence the resistance within me, to push him from my mind. If only my heart would do the same. A beautiful story, brought to life. This is crazy accurate with the details of polygamy life. I have always been intrigued by the Colorado City polygamists and this gave me a unique and beautiful story about following your heart despite the pressures of doing what you are supposed to. Bridget Haight was so perfect for this book. She had that innocent tone to her voice that made you adore the character even more. I hope to see the rest of The Compound Series on Audible soon! I loved this book when I read it the first time around. I decided to listen as a reread before reading mother before wife, book two in the series. It's been almost a week, as I haven't had much listening time, but I'm so glad that I decided to see it through. I love remembering all of the things that I had forgotten about the compound. And Brinley and Porter. I think I'm even going to read the little nocella again before continuing on to mother before wife. Just for another refresher…. Love everything about this series!! I loved this book. So interesting. A must read if you enjoy information about polygamy. 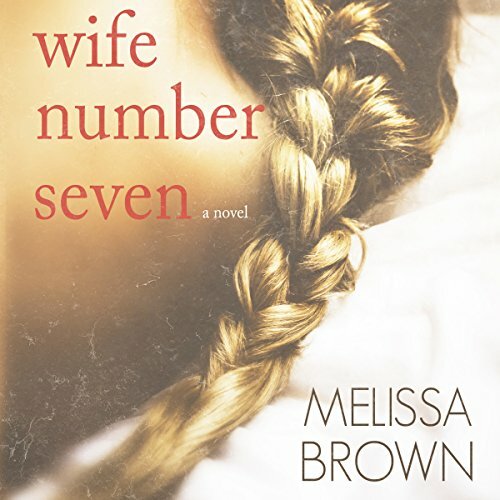 This was a hard story to read and don't get me wrong, I LOVE my dark gritty, taboo reads; however, this one really delves deep into the world of polygamy. There are just so many feelings that come along with this story that I still need to process it. If you wish to hear my final thoughts check out the weekly wrap up (May 27 - Jun 2) on my YouTube Channel. This specific video review will be included in the May 2018 wrap-up. For other video book reviews check out my YouTube Channel: Steph's Rom Book Talk.